Looking for a moist cupcake recipe then look no further. 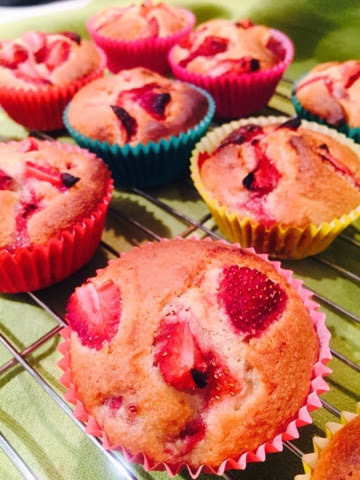 Getting two punnets of strawberries for the bargain price of $5, I thought it was would be a nice weekend surprise to make strawberry muffins for breakfast. 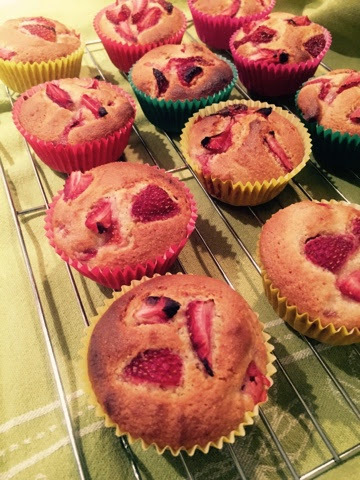 I love the smell of sweet strawberries and it was a treat to have these straight out of the oven. The texture and taste of these moist muffins is worth every minute when I can enjoy a cup of coffee momentarily whilst my family demolishes them. Mix dry ingredients together and then add wet ingredients. Mix well until everything is completely blended together. 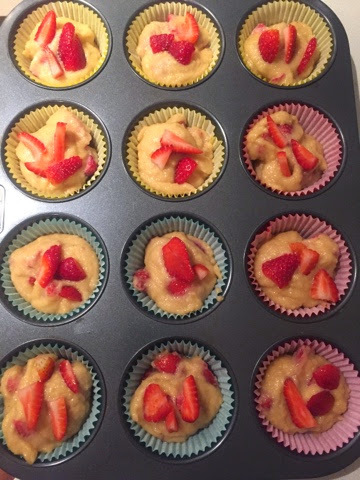 Place baking cups into muffin tray. Scoop enough muffin batter to fill each muffin tin about 3/4 of the way full. 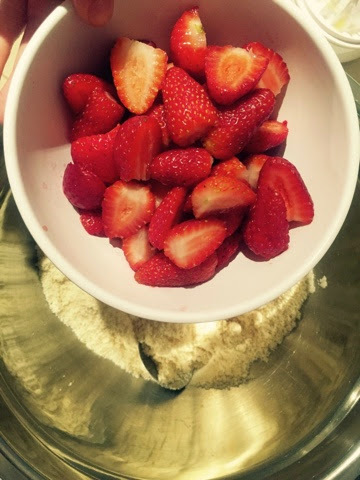 Add a few more diced strawberries on top if you wish. If you overfill your muffin tray with batter, your muffins will puff up and spill over, so it's best to under fill rather than overfill with this recipe.